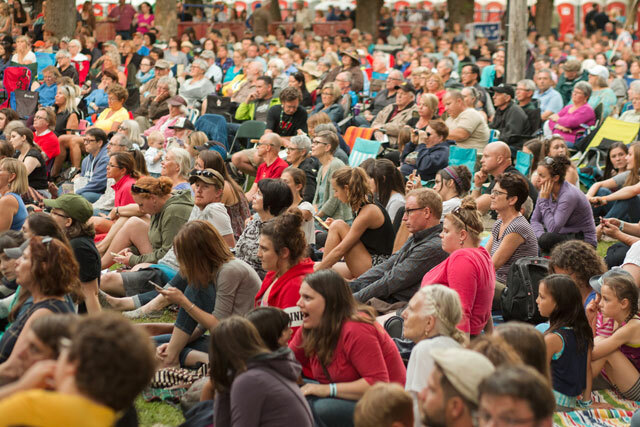 The Annual Newfoundland & Labrador Folk Festival is an incredible weekend of entertainment for the whole family. Spread out over three exciting days, the Festival is the coming together of community and culture. Our province is renowned for its contributions to the musical fabric of Canada and we do all we can to wave that flag high and proud. 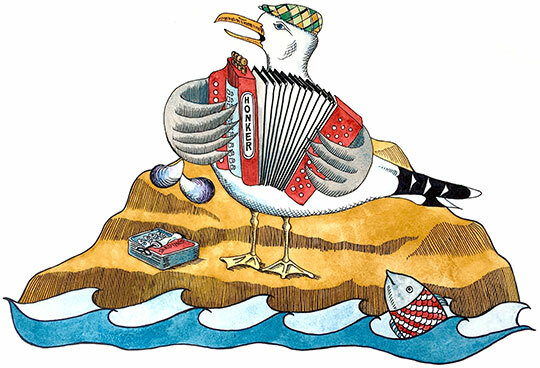 Come and enjoy a weekend of celebrating Newfoundland & Labrador’s unique culture with great traditional music, interactive workshops, local art work and craft and plenty to eat, drink, see and do. 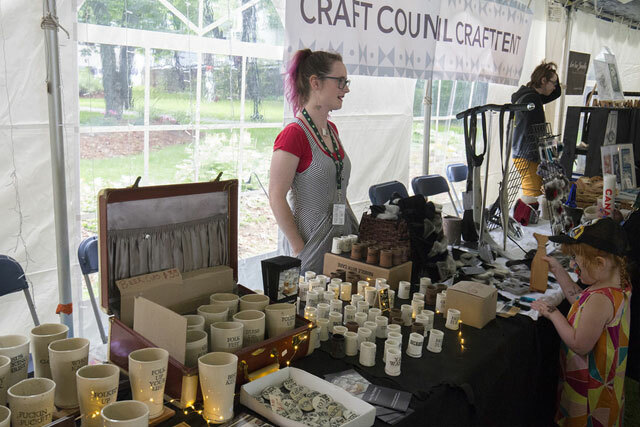 This is a friendly festival that attracts people from all over the world, and it is heralded as one of the province’s premiere cultural events. 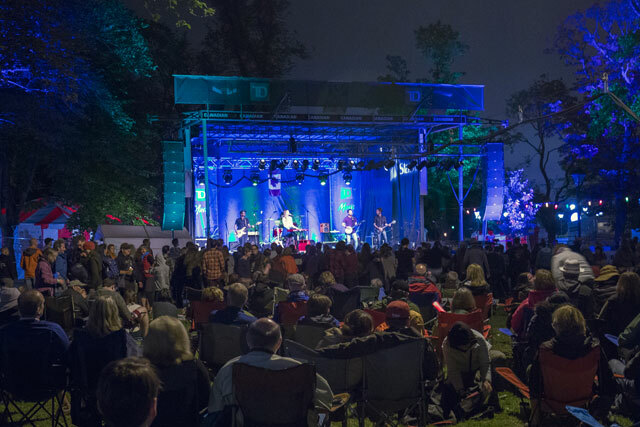 The 2019 Festival will be held on August 9, 10 and 11 in Bannerman Park! See you there! Children ages 12 and under get free admission when accompanied by an adult. Free Child tickets must be reserved in advance at time of Adult/Senior purchase. Limit of two free Child tickets per Adult/Senior ticket holder. PAYMENT METHODS: We accept Visa/MasterCard/Debit/Cash for tickets at the main gate. Payment methods within the site vary according to each vendor, and there is an ATM cash machine on site in the NLFAS tent. Beer ticket sales are cash only. ALL SALES ARE FINAL: Ticket sales close one hour before the end of each session and only those with valid tickets will be admitted after that time. 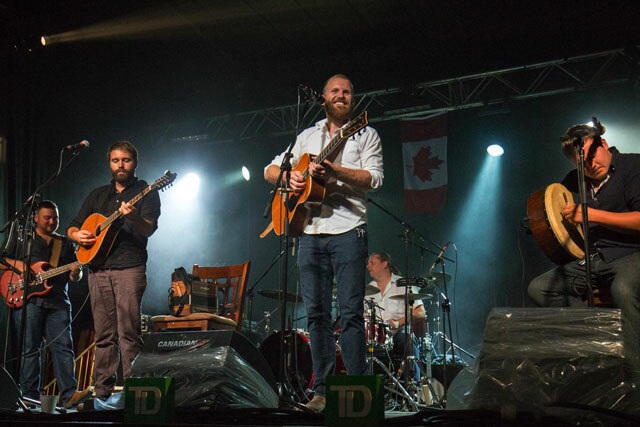 WEATHER: The Newfoundland & Labrador Folk Festival will take place RAIN or SHINE. ANIMALS/PETS: Only certified service animals are allowed onsite. 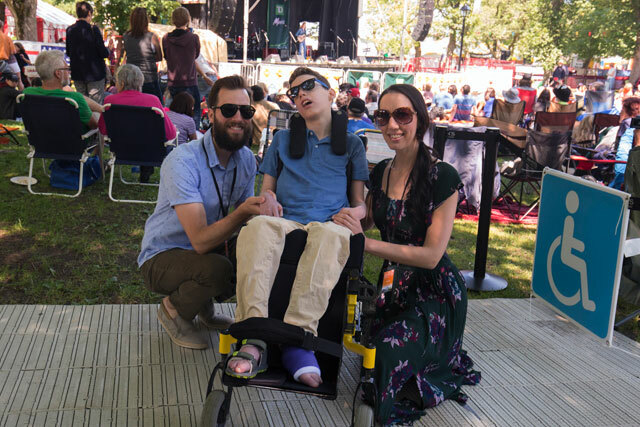 LAWN CHAIRS: Bring your own lawn chair for seating in concert area, but please note the areas designated for low rise lawn chairs, standing and dancing. FOOD AND BEVERAGES: We have a variety of food and beverage vendors onsite and beer and wine is available in the licensed area. 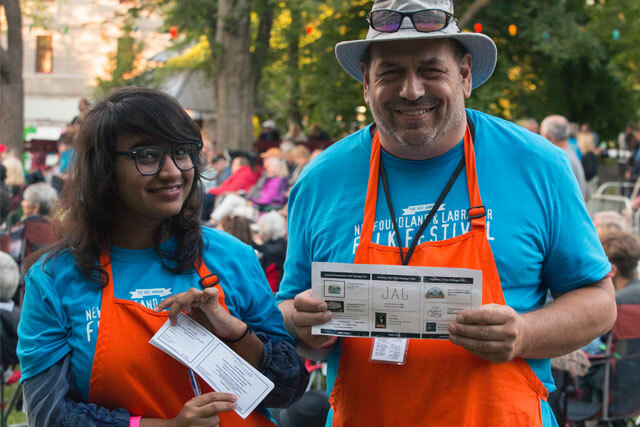 You may bring your own snacks and non-alcoholic beverages into the festival however we request that beverages be in sealed, plastic containers only. No glass please. We have a public water filling station near the Military Road exit and we encourage you to bring your water bottles and stay hydrated with some of the best quality water in North America! LOST AND FOUND: Lost and Found located at the NLFAS Tent. EMERGENCY EXITS: Upon arrival at the festival site, we encourage you to take a moment and note the applicable exits, First Aid locations, and please be advised that in the case of site evacuation, patrons are to exit via the nearest exit and await updates at the Muster Point located at the Moo Moos parking lot.